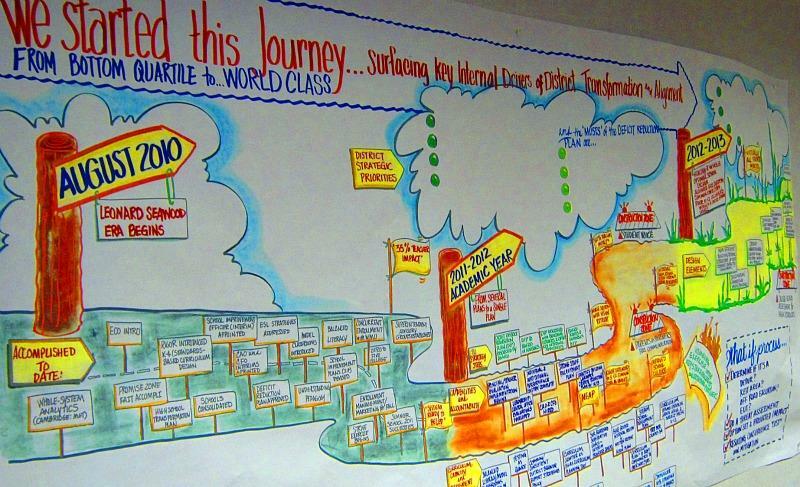 In a conference room near Dr. Leonard Seawood's office is a roadmap illustrating how Benton Harbor Area School are planning to get back on track. Benton Harbor Area Schools will get results from the state’s preliminary review of the district’s finances this week. The school district blames cash flow problems on a lower-than-expected-student count this fall. The 30-day preliminary review is the first step in a process to determine if a school district or municipality needs a state-appointed emergency manager. It does not mean one will be appointed for certain. Since the state launched the preliminary review of Benton Harbor Schools’ finances in mid-November, the school board has cut about a million dollars from the budget. “We have had a pretty busy two weeks or three weeks,” said Benton Harbor Area Schools Superintendent Leonard Seawood. “Anyone at the state can see that we’ve done absolutely everything that we could do given the situation that we’re in,” Seawood said. He's been superintendent of BHAS for a little more than a year and a half. He and the school board have agreed to close two schools and lay off 20 employees. Teachers have agreed to work for less money as the district and the union renegotiates a contract with concessions. Seawood is looking to get a 10-percent pay cut for teachers and increase their health care contributions to 20-percent. The board agreed to demolish some old buildings and list others for sale. BHAS had already privatized bus drivers, custodians, grounds and maintenance and food service. The City of Benton Harbor has been under emergency manager control for nearly 2 years. The school district is still running a $16 million budget deficit. That's about a third of the district's annual operating budget. Seawood hopes the moves in the last few week will stave off a potential state takeover. The school board also decided to use Plante & Moran for financial services instead of looking for a new CFO right now. 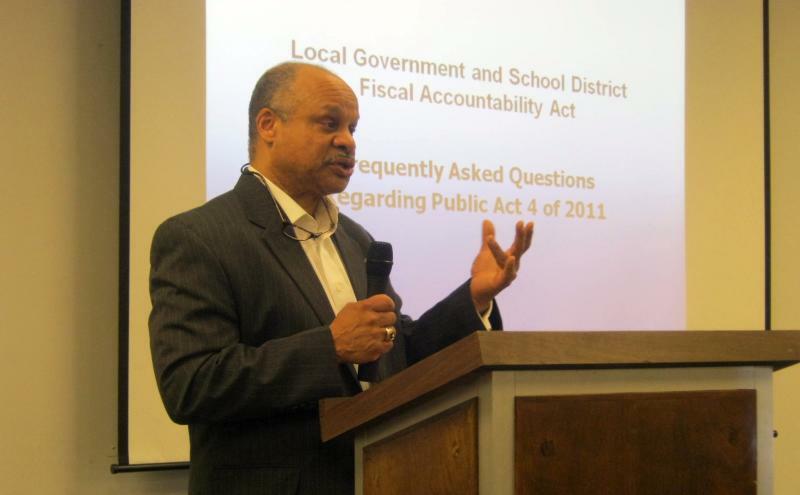 The State of Michigan is reviewing Benton Harbor Area Schools’ finances. That’s the first step in a process to determine if the school district needs a state-appointed emergency manager. It does not mean one would be appointed for certain. But the rumors are already flying in the community about a takeover. Politicians and national media have been parachuting into Benton Harbor lately. They’re talking about the city’s emergency manager, Joe Harris. Harris was the first emergency manager in Michigan to exercise broad new powers under a state law passed last month, essentially removing power from elected city officials. This week I sat down with many of those officials and Benton Harbor residents to hear what they think of the situation. When a city or a school district in Michigan runs out of money, the state can appoint an emergency manager to take over the responsibilities of locally elected officials. An emergency manger’s powers are broad—made even more so this year – and are designed to help EMs balance the books and return governance to locally elected officials as quickly as possible. This is the second time around for Flint, which had an “emergency financial manager” from 2002-2006. The cities of Detroit and Inkster and Benton Harbor Public Schools could soon be added to this list. A former long-time auditor for the City of Detroit says he’s not surprised the city is running out of cash. 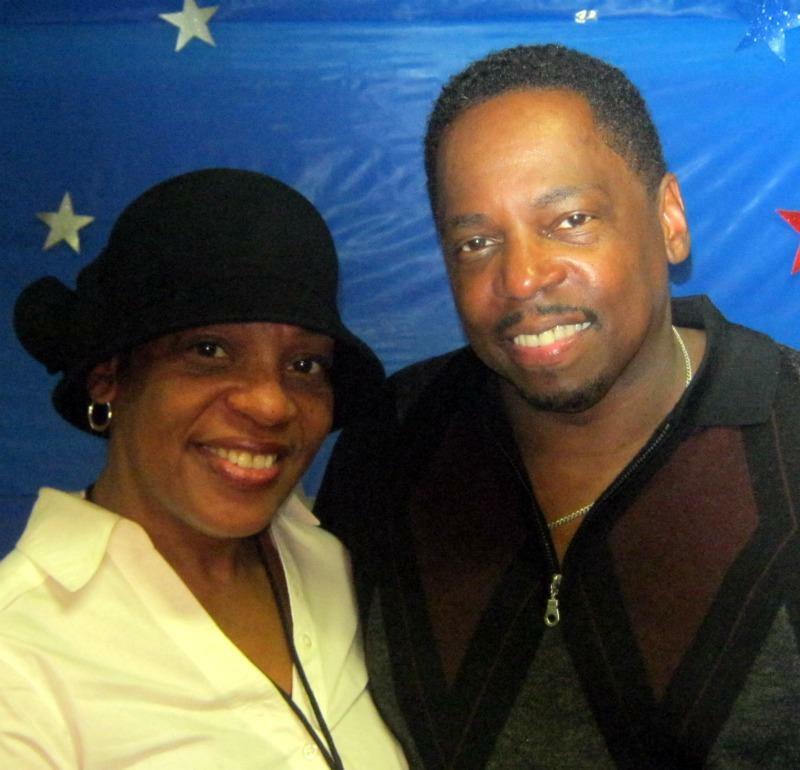 “I was a Detroiter, still am at heart, for 49 years,” Harris said. Joe Harris also served as Detroit’s auditor general from 1995 to 2005. 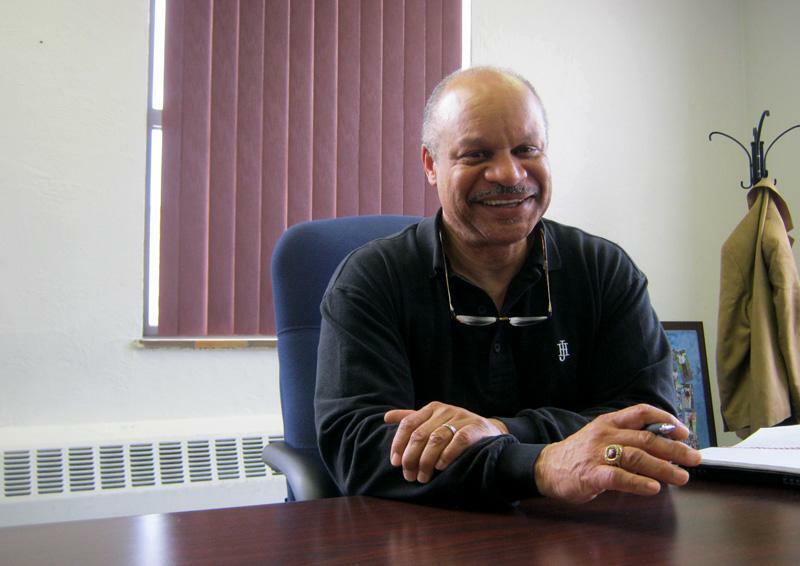 He’s been the state-appointed emergency manager in Benton Harbor since March 2010. In April 2010 the State of Michigan appointed an emergency financial manager for Benton Harbor to prevent the city from going bankrupt. 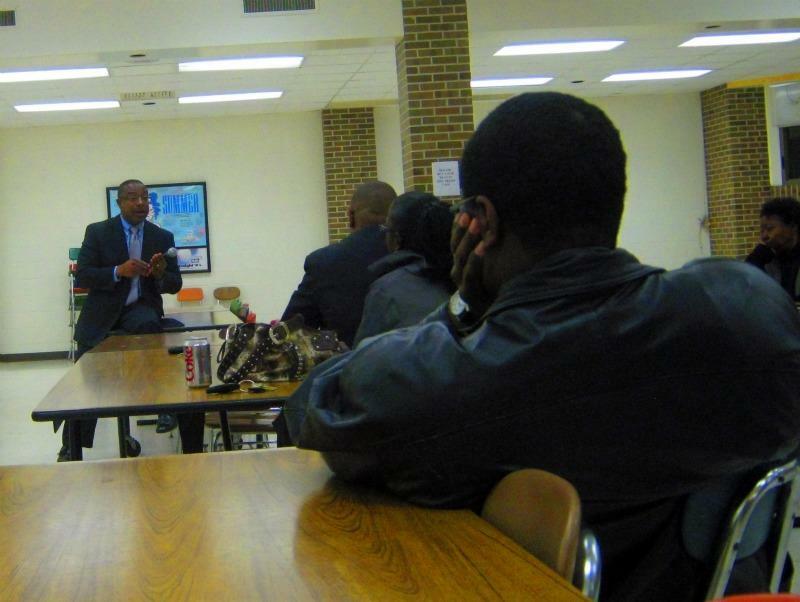 “The mood has changed and it is not as adversarial as it was a year ago,” Benton Harbor City Commissioner Bryan Joseph said after a town hall meeting Wednesday night. 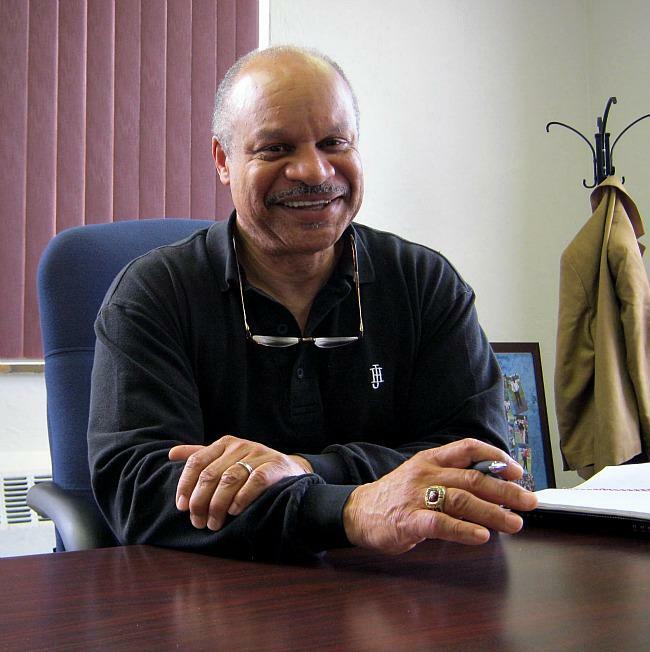 City Commissioner James Hightower narrowly beat the incumbent Mayor Wilce Cooke. Cooke is likely to challenge the results, which came in 681 to 673, a difference of 8 votes. There were two write-in candidates who got a combined 8 votes. The state appointed an emergency manger to take over the city’s finances during Cooke’s second term as mayor.